Natural Forage Extender 20 - Hudson Livestock Supplements Inc.Hudson Livestock Supplements Inc.
Natural Forage Extender 20 is designed as a supplement for Beef Cattle on pasture or medium to low quality hay. It is fortified with all the nutrients needed to supplement southern forages. Due to the fact that it is an all-natural protein product, it is okay to run horses in the pasture with cows. 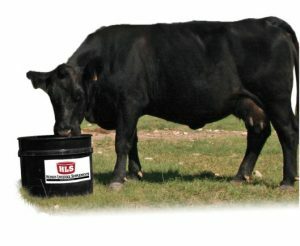 All you need to supplement cattle is HLS™, salt, pasture or hay.